A new international study suggests that higher than recommended levels of vitamin D could reduce the risk of developing colorectal cancer, a disease that kills more than 50,000 people a year. This finding was especially true for women. The new study pooled data from 17 previous studies on the subject and involved more than 12,000 participants from Asia, Europe, and the United States. It was conducted by researchers from the American Cancer Society and about 20 other health groups. The researchers found that people who had lower levels of vitamin D than recommended had a 31 percent higher risk of colorectal cancer during a follow-up period. On the other hand, participants with vitamin D levels that were above the guidelines currently recommended for bone health had a 22 percent lower risk, the researchers said. “Our study shows that having higher levels above bone-health ones are associated with lower colorectal cancer,” said Stephanie Smith-Warner, a Harvard epidemiologist and one of the study’s senior authors. Although it was an observational study and does not prove cause and effect, the research showed that participants who had vitamin D levels that were higher than the recommended levels had a 22 percent lower risk of colorectal cancer. The study authors stressed that consumers shouldn’t go overboard on vitamin D intake in light of the study’s findings, since taking too much vitamin D can cause kidney stones and other adverse health effects. More research is needed to determine whether vitamin D supplements should be used to prevent colorectal cancer. In an interview with the Washington Post, JoAnn Manson, chief of the division of preventive medicine at Brigham and Women’s Hospital in Boston, urged consumers to “err on the side of moderate intake” until more information is available. Current dietary guidelines suggest that most adults get at least 600 international units (IU) of vitamin D a day. 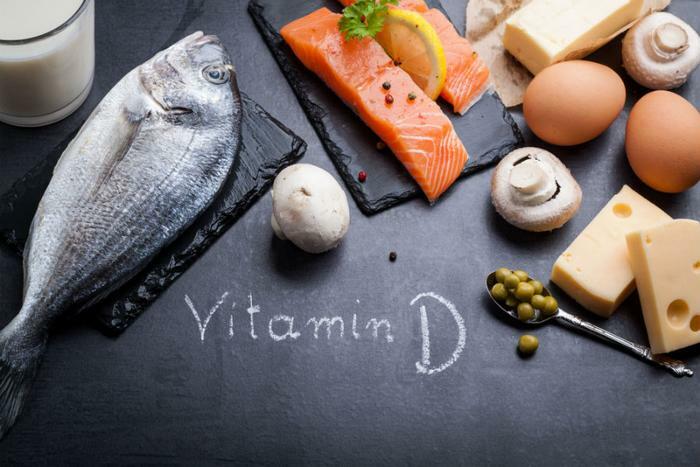 Health experts say the best way to get vitamin D is by eating foods and beverages that are rich in the vitamin -- such as fatty fish, milk, and cheese -- since sun exposure raises the risk of skin cancer.